Long hours of practice paid off for Setlock with over 40 championships, either individually, doubles or in team competition. She bowled a sanctioned 300 game and a dozen 700-series, including a then-Michigan record 776. She was a member of two WIBC team champions in 1958 and 1959. Setlock was Michigan match game champion in 1958-1959; member of the Michigan team champions in 1956, 1960 and 1963; and Michigan all-events champion 1967-68. Setlock finished seventh in the World Invitational Tournament in 1958 and tenth in 1962. She won numerous Detroit city titles. Ann Setlock started bowling in 1949 and vividly remembered her first bowling game with several of her friends – a 67. The bowling game intrigued her and she found herself going to the lanes to practice more and more often. The practice sessions paid off and with the urging of the late Louise Stockdale, a pioneer in women’s bowling, Ann began to take the game seriously. Long hours of practice paid off in over 40 championships, including individual, doubles and team competition. Twice, Ann was a member of Detroit teams, which won the Women’s International Bowling Congress championship. She was also on the Colonial Broach team in Buffalo, N.Y., in 1957, and the Bill Snethkamp quintet in 1959 at Fort Wayne, Ind. Miss Setlock rolled a dozen sanctioned 700 series and registered a 300 game in 1970 on the night of a then state record 776 series. She was Michigan State Individual Match Game Champion in 1958-59; member of State Team Champions in 1956, 1960 and 1963 and Michigan State All-Events Champion 1967-68; and Michigan State Match Game Championship Team 1959-60. Ann finished seventh in the World’s Invitational tournament in 1958 and tenth in 1962. She won the Detroit City Tournament Singles crown in 1959; shared the Doubles title in 1963; earned the City All-Events championship in 1950 and 1963; and she was a member of the City Team Champs in 1950, 1951, 1954 and 1959. Miss Setlock was successful in the Detroit CYO Tournament: a member of the Team champs in 1953, 1954, 1955 and 1961; shared CYO Doubles title in 1954; and won the CYO All-Events in 1955. 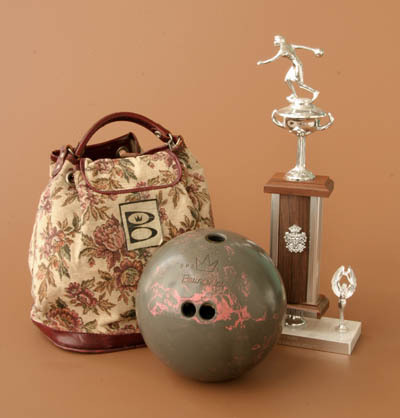 She was voted to the Detroit Bowling Hall of Fame in 1972 and the Michigan State Bowling Hall of Fame in 1979.